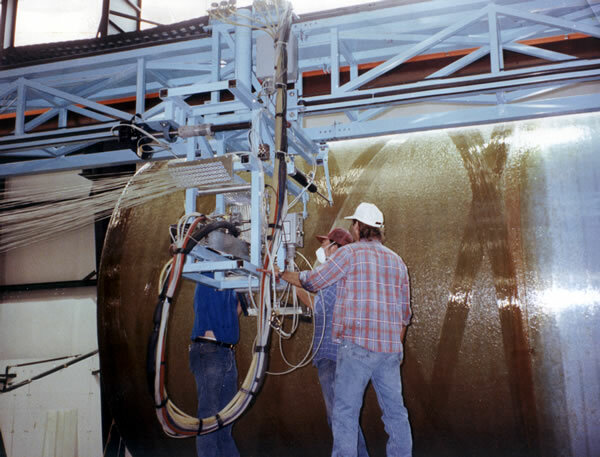 Fiber-reinforced polymer composite stacks, pipe, duct, and vessel manufacturer. Located in Harrison, Arkansas, Tankinetics is one of the most modern fiber-reinforced composite tank and pipe production plants in the world. Tankinetics serves the Power/Utility, Chemical Process/Petrochemical, Pulp and Paper, Food Processing, Mining and Metallurgical, Pharmaceutical, Water and Wastewater Treatment and related industries as well as the U.S. Military and NATO Allies. 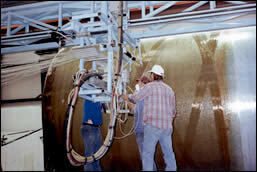 Tankinetics, founded in 1957 by Robert Justin Short, is a pioneer in the composites industry. We continue to invest in engineering, manufacturing, and fabrication resources and equipment to produce our products. This long-term commitment to our customers enables us to provide the highest quality FRP Composite equipment available.